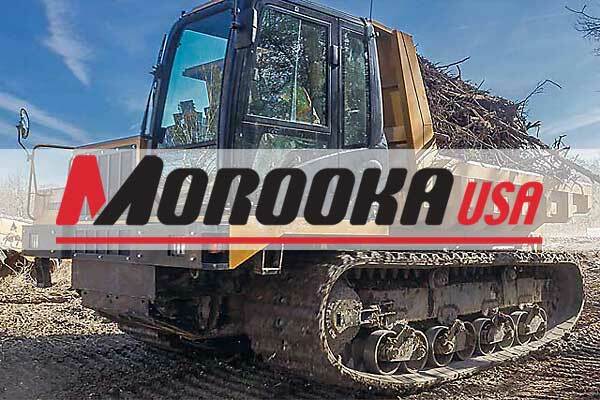 The U.S. built Morooka MST1500VDR combines the utility of North America’s top-selling rubber track carrier model with an upper structure that rotates a full 360 degrees, allowing you to deliver your load and return without spinning the undercarriage. This feature makes possible easy-in/easy-out maneuvering in tight spaces even when carrying a maximum load of more than 15,000 pounds. It also provides on-target side-dump accuracy, allowing your operator to deposit spoil exactly where it is needed. The MST1500VDR features a heated and air conditioned ROPS-certified cabin, back-up camera, video information display, remote mirror, and easy-to-use joystick control. Length 5,639 mm / 18' 6"
Gauge 1,803 mm / 5' 11"
Width of Dump Bed 2,337mm / 7' 8"
Machine Weight 12,773 kg / 28,100 lbs.